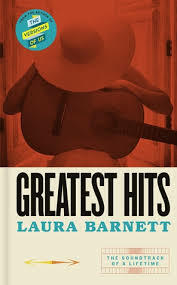 Greatest Hits has an interesting premise. An almost washed up singer from the 70's selects 16 songs she wrote that reflected important moments in her life. She spends a day listening to them and with each one we live some of her back story. Re-reading that it could sound boring. But here's the thing – the life that is explored feels very authentic. Themes that are explored include the impact of becoming famous on your life and your family. And the impact of having a dysfunctional family background. Another cool thing is that an artist (Kathryn Williams) has done an album based on the songs written for the book. A real crossover moment. Often while reading the book, I wondered if it was really fictional at all – it felt so authentic. A new genre – fictional biography!